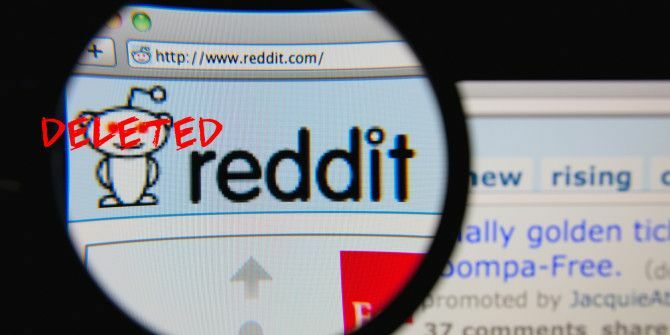 If you’re a regular Reddit user 10 Reasons Why You Need the Reddit Enhancement Suite 10 Reasons Why You Need the Reddit Enhancement Suite The Reddit Enhancement Suite is available on Chrome, Firefox, Opera, and Safari. Think you can live without it? Here are some of the most game-changing features that will convince you to install it pronto. Read More , you’ve probably found yourself in the so-called comment graveyard. All you see is “Deleted” in the username slot and “Removed” in the comment’s field. More often than not, the responses to these comments are also deleted, either by the posted or the moderators 7 Awesome Reddit Alternatives That You Need to Check Out Today 7 Awesome Reddit Alternatives That You Need to Check Out Today Reddit is amazing for finding cool new content and discussing issues of the day with people from all over the world – but it also has its problems. Try these awesome Reddit alternatives. Read More . It leaves you wondering just went happened here. Wonder no more, because there’s actually an incredibly easy way to see all these comments. Now, you can find out the story that took place while you were (hopefully) out experiencing the real world. Wait, I need to leave you in suspense for just a second or two longer with a warning: more often than not, walking into a thread filled with deleted comments is not a pleasant place to be. Comments are often racist, homophobic, and generally just terrible Here's What Happens When You Confront An Internet Troll Face To Face Here's What Happens When You Confront An Internet Troll Face To Face When you're just typing words into a machine, it's easy to forget that there are real people reading those words. Unless those people get in touch. Read More . There’s a reason they were deleted. Proceed at your own risk. So, really, when you find yourself in a deleted reddit thread, just click your address bar, highlight the “r,” change it to a “c,” and hit enter. It’ll reload on ceddit.com, and most, if not all, of the deleted comments will be there, and they’ll be highlighted in red, making it easier for you skim. Have you ever dug into a massive comment graveyard? Did you need to hit r/aww to make yourself feel better? Share your stories in the comments!